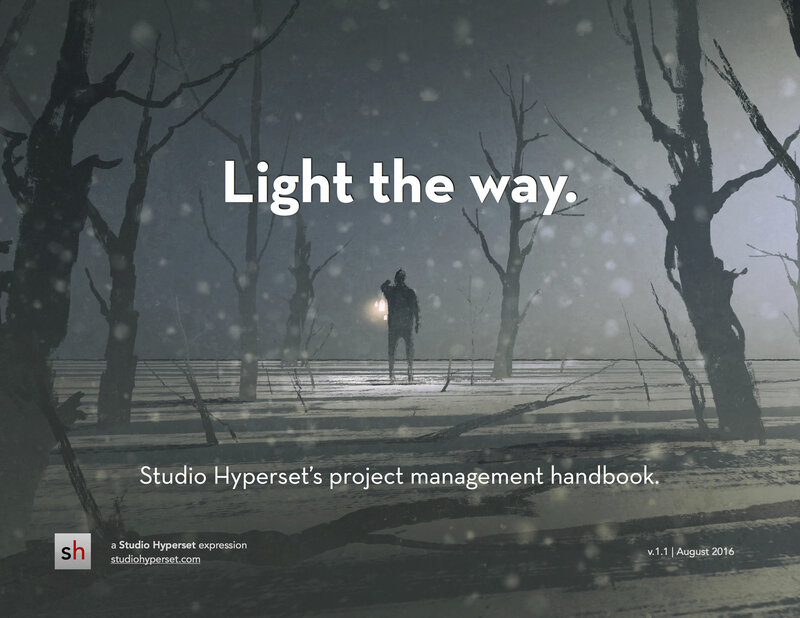 This case study outlines the ways Studio Hyperset helped an energy industry client design, build, and market an iOS enterprise application; a SaaS company build an API-driven static website; and an entertainment-industry client build a virtual operations system. 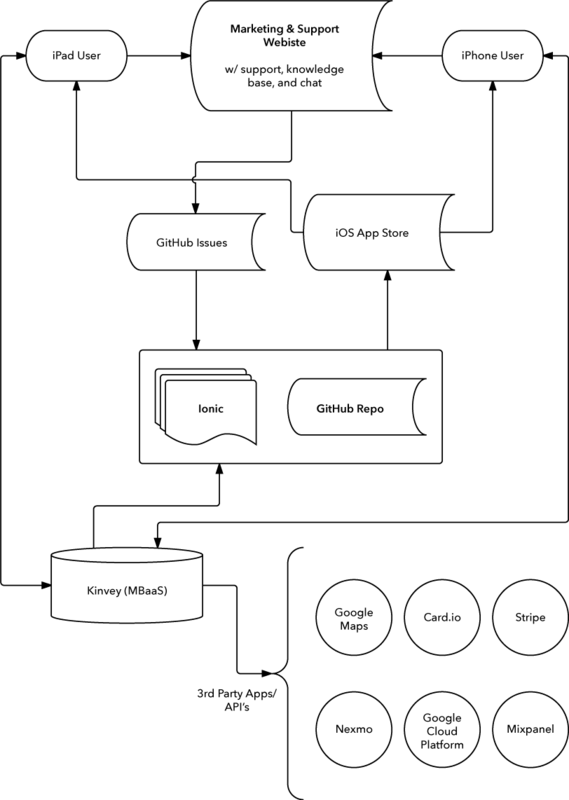 A version also appears on the Lucidchart blog. SH is also a virtual firm, which means our day-to-day operations are organized around a series of online workflows. As a result, most of our team and clients have never been in the same physical space at the same time. Like many professional service firms, our most important capital assets are the synergies, collective intelligence, and potential productivity of our team and the relationships we have with our clients. Our success depends on keeping these resources vibrant and healthy. Breakdowns in communication, clarity, and collaboration create substantial bottlenecks and mission failures. Extreme cases have the potential to bruise our brand, erode our primary capital assets, and create business development challenges, revenue interruptions, and even existential risks. 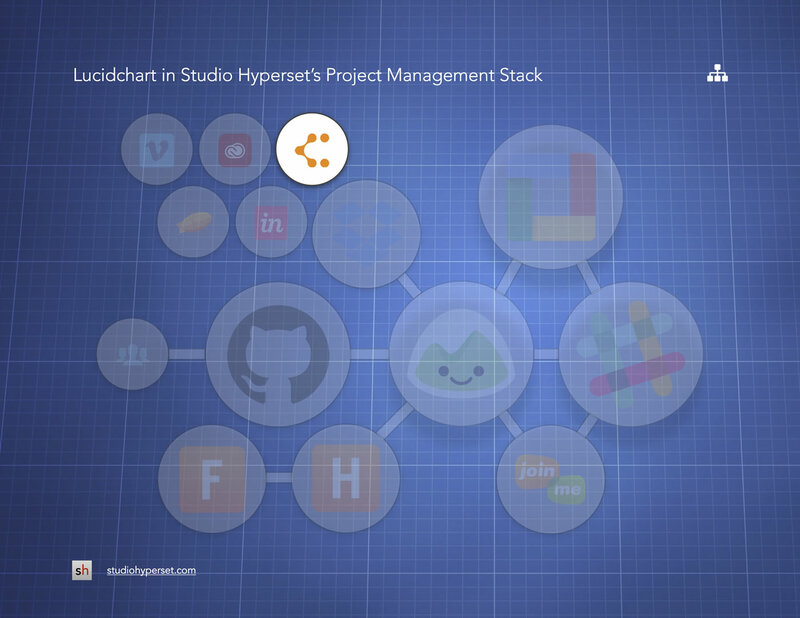 As we outline in our project management eBook, Lucidchart is a vital component of our operations stack. As is often the case when communicating virtually and across cultures, visual forms of communication tend to work better than text. This is especially true when attempting to build, develop, review, or approve complex models that link technology components, responsible parties, and system architectures. Using Lucidchart, we’re able to quickly and easily create visual representations of workflows, stacks, and other critical solutions. When SH circulates these resources among teammates and clients, we find they’re easily understood by everyone involved, regardless of an individual’s cultural or linguistic background or technology knowledge. Here are three specific solutions we created using Lucidchart. Perhaps more than any other project we’ve undertaken, this experience illustrated how effectively Lucidchart helps teams like ours communicate complex system components to technology laypeople. Security and speed considerations have led some of our clients to trade traditional CMS LAMP stacks for API-driven static websites. Earlier this year, one of our SaaS clients expressed an interest in building such a site and having us develop it long-term. As a result of our past WP/LAMP experience, building this sort of site represented a new challenge for our development team, and we needed to ensure (a) everyone involved knew what we were trying to build and (b) that the final site would match the client’s short- and long-term goals. 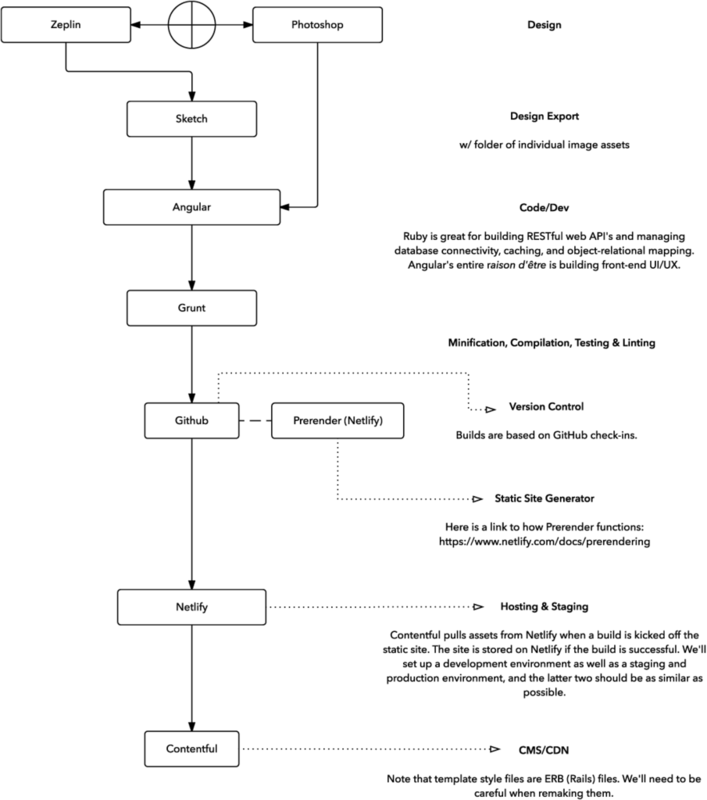 Rather than stumbling our way toward the correct solution through trial-and-error — which would risk all sorts of conversation tangles, client annoyances, and team frustrations — we were instead able to spend a week drafting the ideal stack using the abstract model below. Once this process wrapped, the SH team was able to begin development immediately, confident in the knowledge that our efforts would be entirely constructive, purpose-driven, and on point. 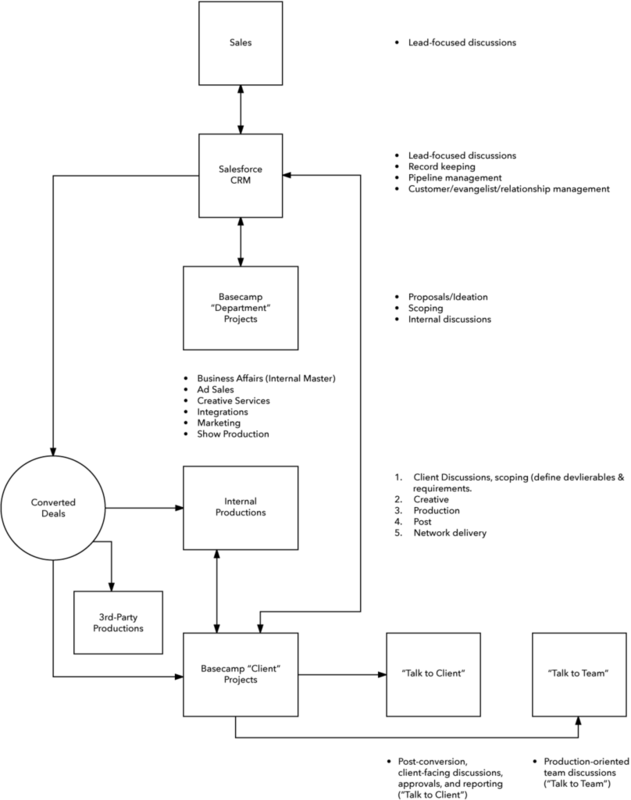 Lucidchart helped us build several workflow resources and visual models, including the flowchart below. This particular resource illustrates the ways in which the client’s sales activities feed their CRM, how they manage team-focused pre-conversion workflows, and how the sales and marketing team transfers converted projects to production for fulfillment. This project helped us strengthen an important client relationship and represented a mission-focused opportunity. We inherited a good bit of confusion, chaos, and (frankly) unhappiness from the client. Lucidchart helped us untangle these issues and transform chaos into order. As a direct result of the models Lucidchart helped us build, the client now experiences daily efficiency (and happiness) gains. SH’s mission involves helping clients grow and evolve, empowering and adding value to their businesses and lives, and working together to find catharsis and formal order in a world of anxiety and chaos. By allowing us to effectively communicate needs, challenges, expectations, and solutions, Lucidchart helps us accomplish all three three of our mission goals. SH can directly attribute $385k+ of our 2016 revenue to the projects associated with the solutions above. Our ability to communicate models like these helped us convert, delight, and retain these clients. 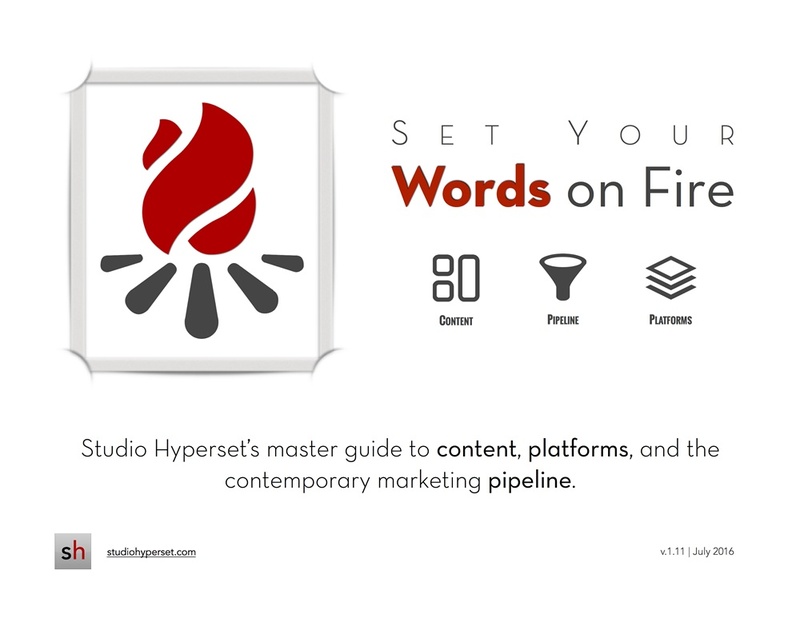 Because of the important role cross-selling and referrals play in our business development efforts, accomplishing all three of these goals also helps Studio Hyperset continue growing. Because Lucidchart helps us communicate effectively across a diverse, virtual professional network, we’re able to constantly reinvigorate our existing relationships and capital assets and thereby retain and attract both teammates and clients. Lucid Software is a leading provider of cloud-based visual productivity applications. Lucidchart, a diagramming application, and Lucidpress, a design solution, are utilized in over 175 countries by more than 8 million users, including Comcast, NASA, Netflix, Target and Xerox. Learn more at Lucidchart.com and connect with them on Facebook, LinkedIn and Twitter. 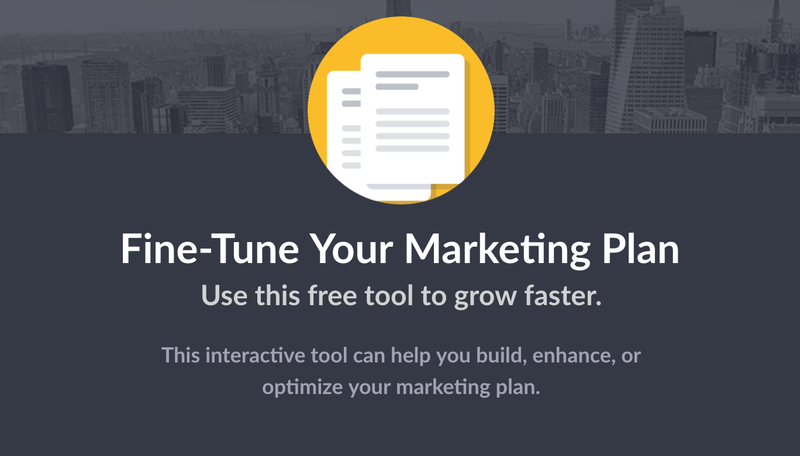 Build, enhance, or optimize your marketing plan with this online tool. It's free and easy to use. 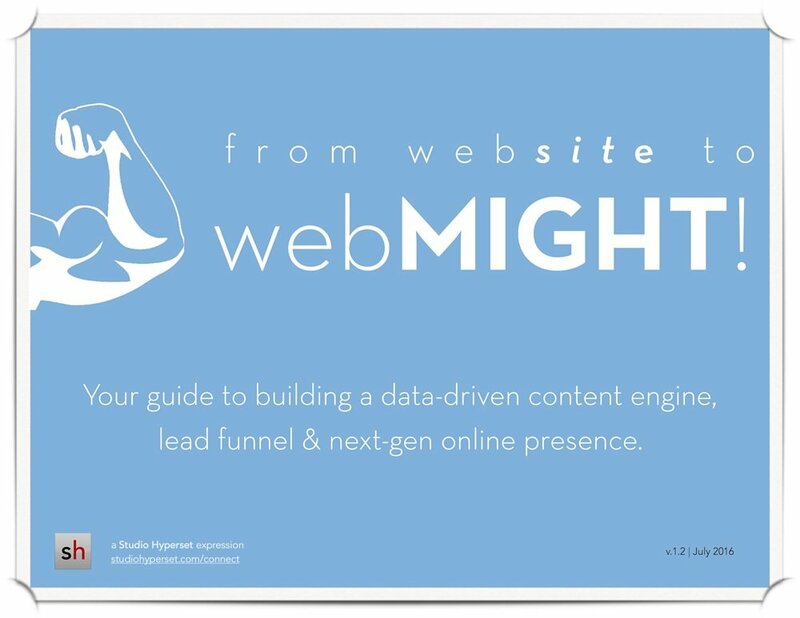 Use content, platforms, and the contemporary marketing pipeline to get the most out of your online marketing efforts. Learn how to use effective communication systems to build great relationships with your customers and teammates. Posted in "Case Studies" and "Métier."